Get your French Link Hunter Dee Ring Snaffle Bit today at Horse Tack Now. This specific model of French Link Dee Ring Snaffle Bit that we have to offer is also made with impeccable craftsmanship. 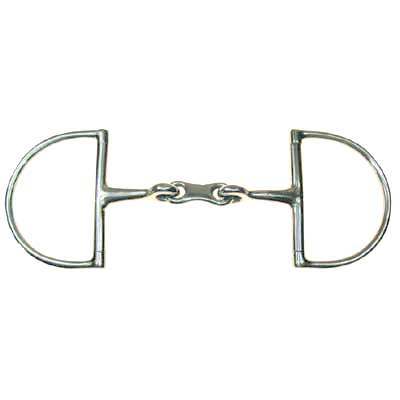 This French Link Horse Bit is available in sizes 5'' and 5 1/2'' & is also made of stainless steel which is a very durable material and will last a lifetime. We know how hard it can be to find a great deal on French Link Dee Ring Snaffle Bits. This is why we offer all our French Link Horse Bits at discount prices to help our customers save and want to come back for future purchases.